Legendary Reggae/Dub pioneer Lee “Scratch” Perry has always been an odd cat, so it’s appropriate that any documentary about him be just as quirky. 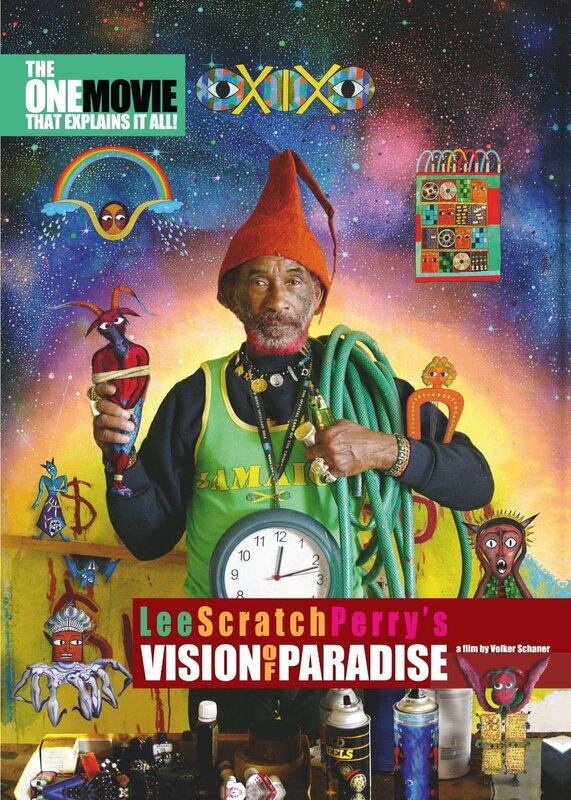 Lee Scratch Perry’s Vision of Paradise is far from ordinary, but a fun, peculiar look at the godfather’s of Jamaican music. Filmed over 15 years by Volker Schaner, who was given extraordinary access to the legend in the studio, in the ocean of his native Jamaica, in Ethiopia and England and in his new adopted home of Switzerland. Along with interviews from the subject and a slew of Dub and Reggae musicians, the film is filled out with animation. The DVD comes with a 24-page book and a making of documentary which is nearly as entertaining as the doc.